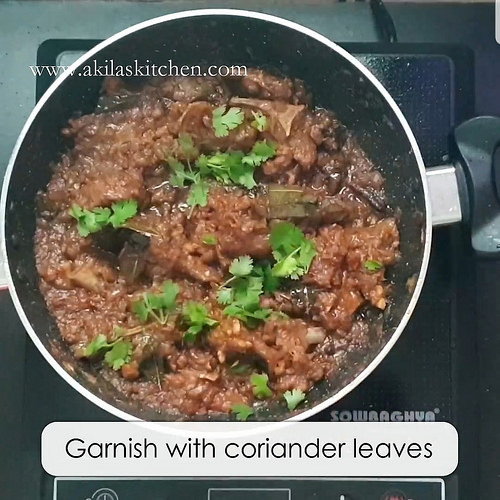 Spicy mutton semi gravy recipe with easy step-by-step instructions and video recipe for your easy understanding and learning. 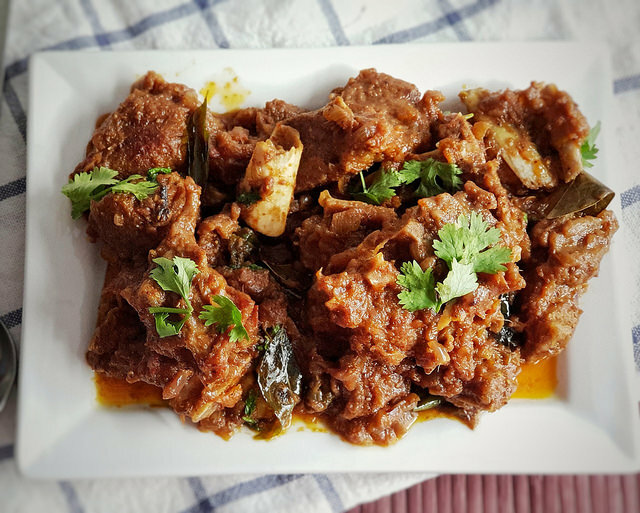 This Mutton semi gravy recipe goes well with idli, dosa, idiyappam, appam. 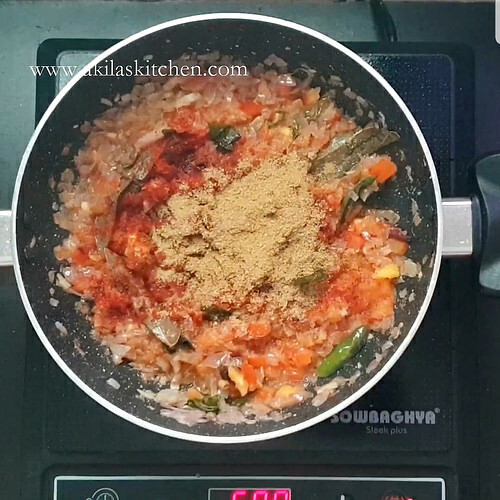 you can also mix this with rice and eat it. Either way it tastes good. 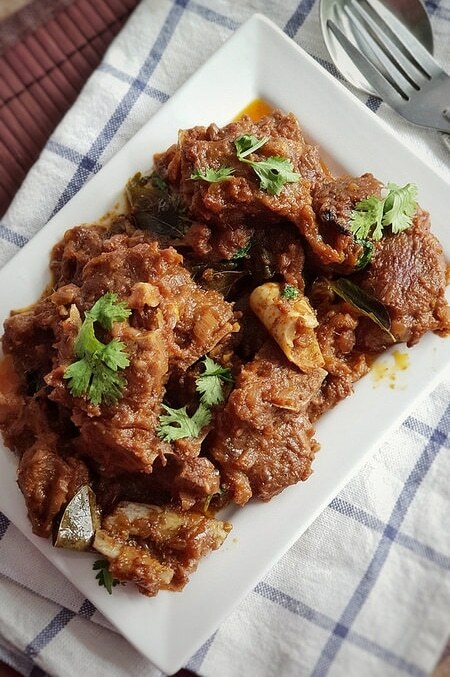 This mutton semi gravy recipe can be made into a thick gravy or a semi gravy like this. Here I have prepared this as a spicy one. If you want to make it less spicy you can add coconut milk at the end of the recipe. 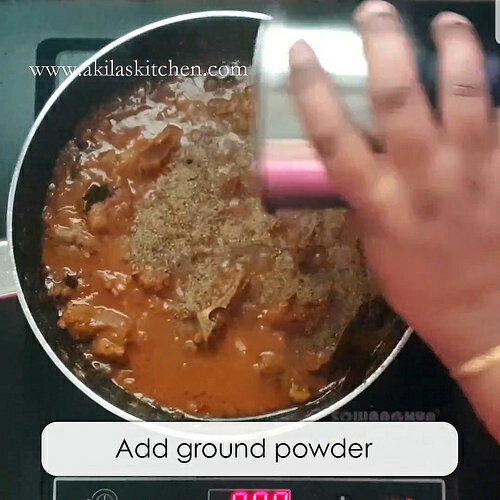 Also if you want to make it more spicy add one teaspoon of black pepper powder just 5 minutes before switching off the stove. 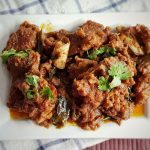 This mutton semi gravy recipe can be made into a thick gravy or a semi gravy like this. Here I have prepared this as a spicy one. If you want to make it less spicy you can add coconut milk at the end of the recipe. 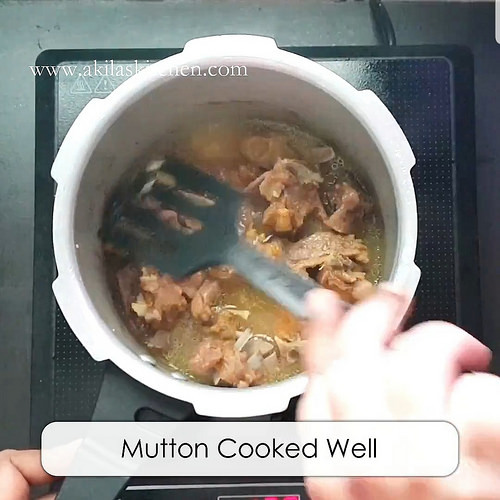 Wash the mutton nicely with turmeric and salt. Wash it around 3 to four times. 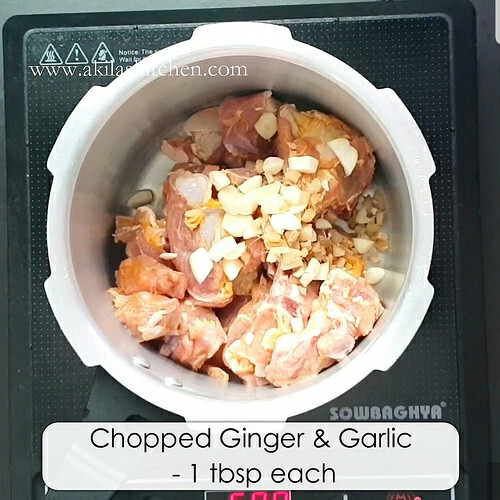 You can follow this link of how to remove foul smell from the chicken and follow the same procedure to remove the smell from the mutton. Now in a pressure cooker add oil and the washed Mutton, chopped ginger garlic, turmeric and salt. 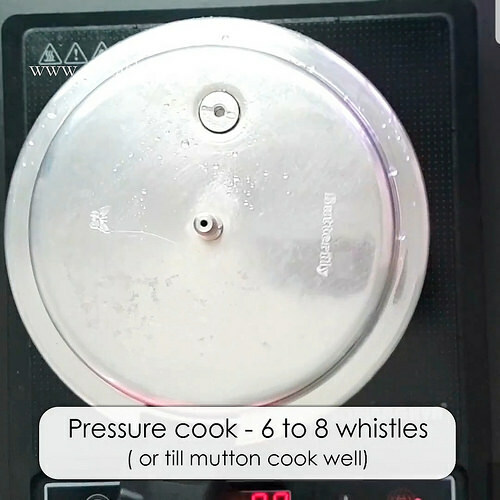 Also add One cup of water and pressure cook nicely for 6 to 8 minutes or cook according to your cooker specifications. Once the Mutton is cooked, keep it aside. In a large pan, add fennel, cumin and pepper seeds. Fry for a minute. Make it a fine powder and keep aside. In a big pan, add oil and when hot, add mentioned spices and fry slightly. Add the curry leaves and the green chilli. Add the finely chopped onions and saute nicely till it becomes translucent. Add the ginger garlic paste and again fry till the raw smell of ginger garlic goes off. Add the tomatoes and saute well. Now add the chilli powder and coriander powder. Let it cook nicely. Now add Little salt and turmeric as we have already added them while cooking the Mutton. 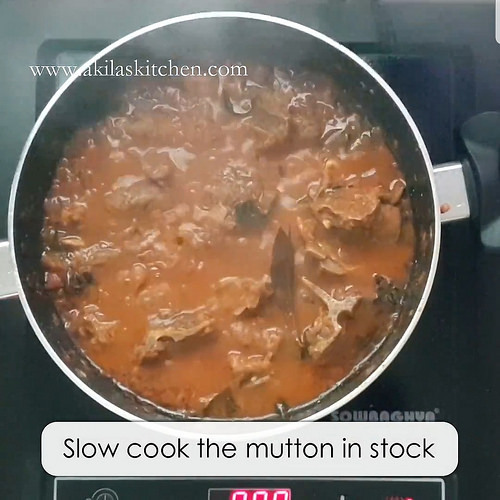 Add the Mutton stock now and allow the Mutton to get slow cooked in the stock. Add the garam Masala and mix it. Now add the ground powder. ( cumin, Fennel and pepper). 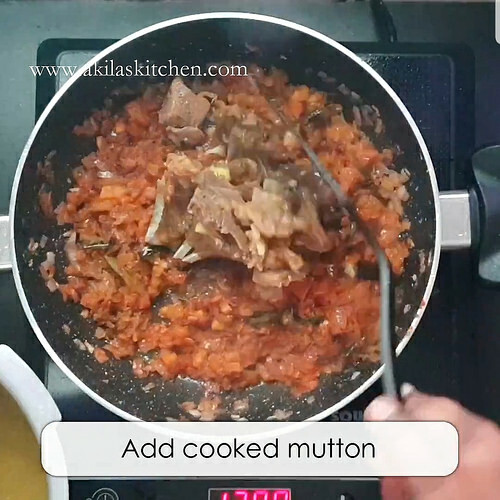 Allow the mutton to cook nicely in the Masala and cook until all water evaporates. If you want you can add 2 tbsp of oil to this. If you want more gravy, you need not wait till all water evaporates. 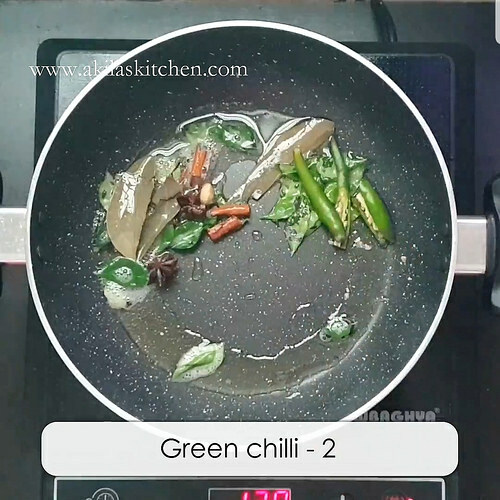 You can switch off the stove now itself and serve it. If you want a thick gravy, then let all water content goes off. 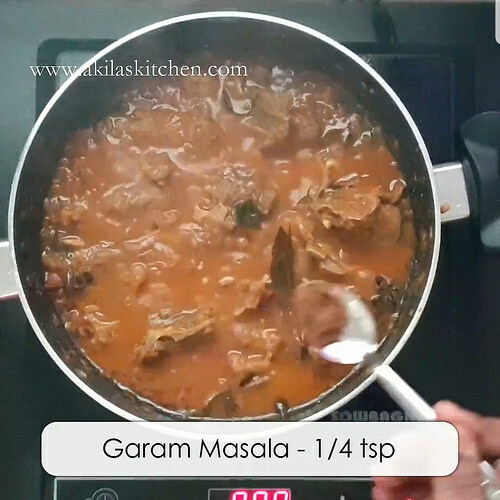 Serve the Yummy yummy mutton semi gravy. 1. 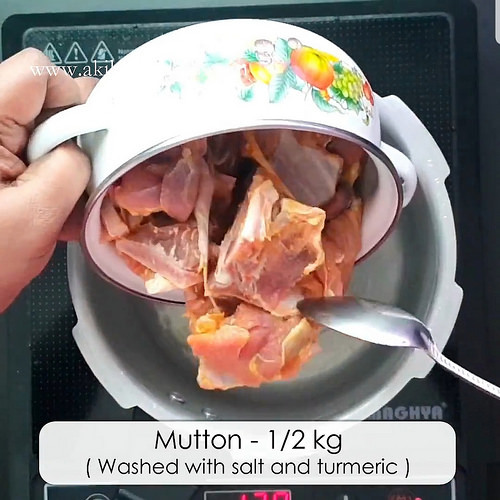 Wash the mutton nicely with turmeric and salt. Wash it around 3 to four times. 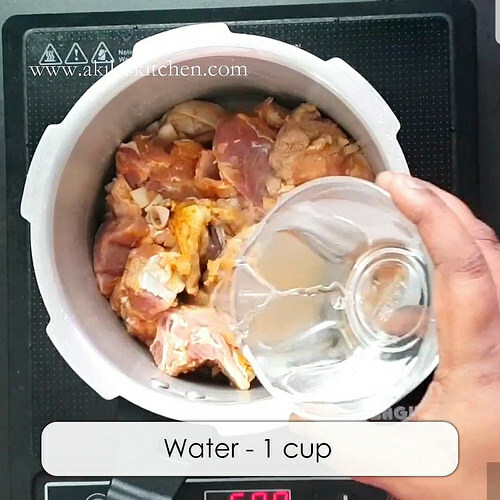 You can follow this link of how to remove foul smell from the chicken and follow the same procedure to remove the smell from the mutton. 2 Now in a pressure cooker add oil and the washed Mutton, chopped ginger garlic, turmeric and salt. 3. 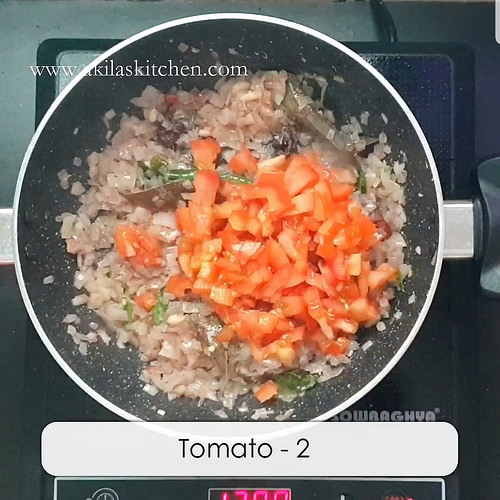 Also add One cup of water and pressure cook nicely for 6 to 8 minutes or cook according to your cooker specifications. 4. Once the Mutton is cooked, keep it aside. 5. In a large pan, add fennel, cumin and pepper seeds. Fry for a minute. 6. Make it a fine powder and keep aside. 7. 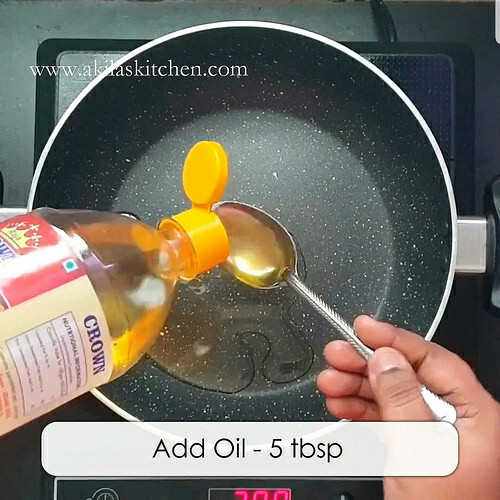 In a big pan, add oil and when hot, add mentioned spices and fry slightly. 8. 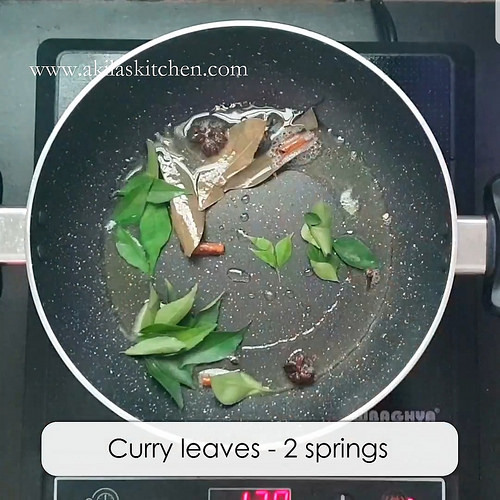 Add the curry leaves and the green chilli. 9. 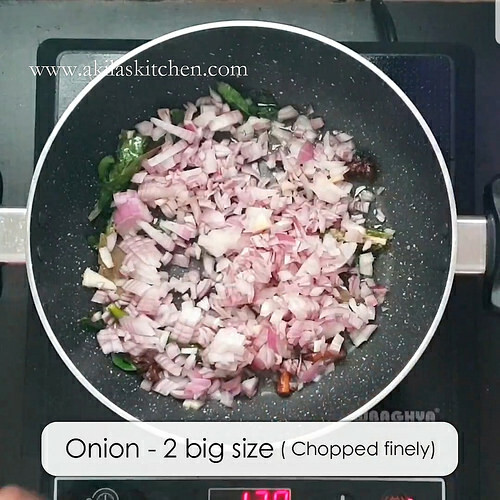 Add the finely chopped onions and saute nicely till it becomes translucent. 10. 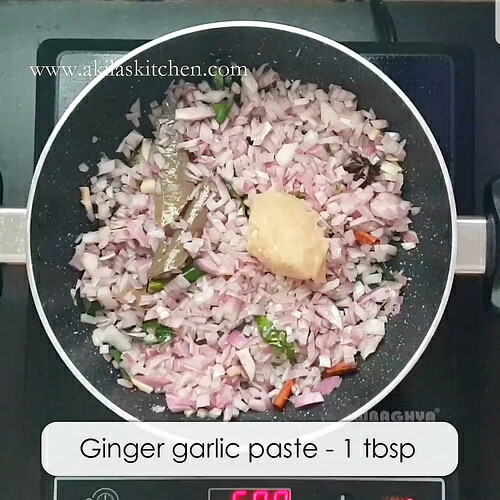 Add the ginger garlic paste and again fry till the raw smell of ginger garlic goes off. 11. Add the tomatoes and saute well. 12. Now add the chilli powder and coriander powder. Let it cook nicely. 14. 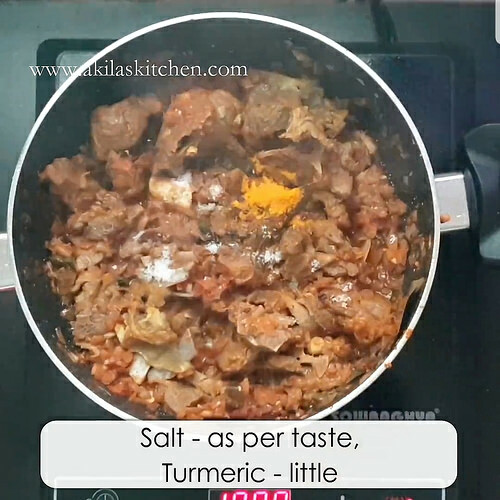 Now add Little salt and turmeric as we have already added them while cooking the Mutton. 15. 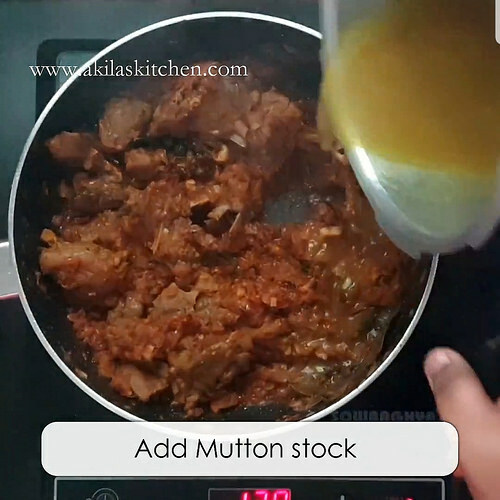 Add the Mutton stock now and allow the Mutton to get slow cooked in the stock. 16. 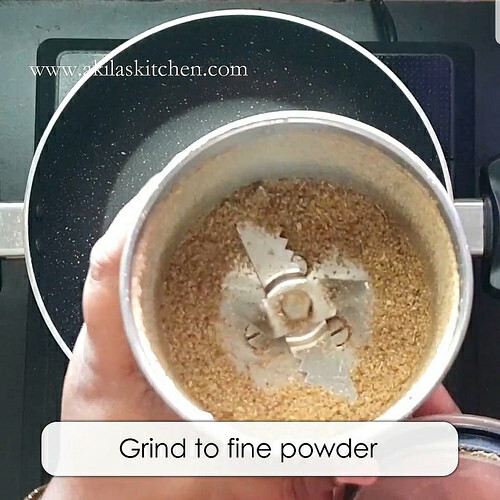 Add the garam Masala and mix it. 17. Now add the ground powder. 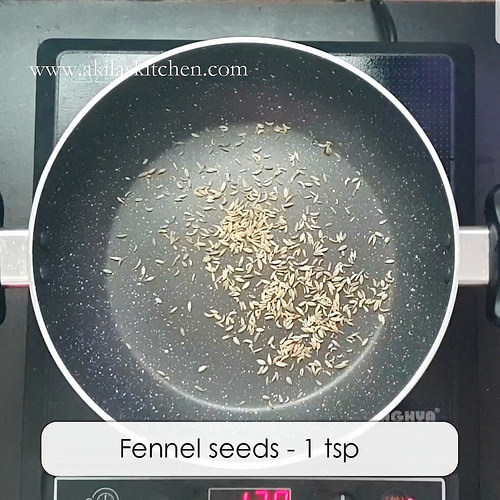 ( cumin, Fennel and pepper). 18. 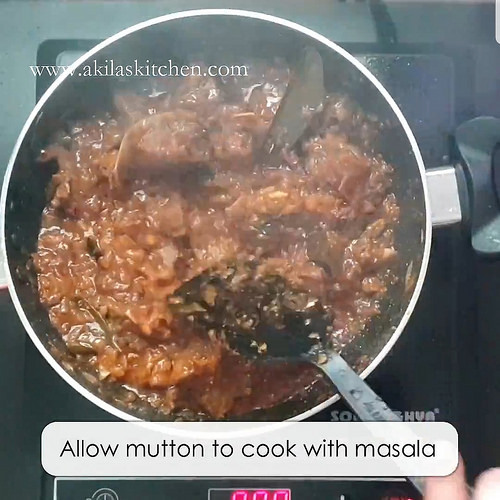 Allow the mutton to cook nicely in the Masala and cook until all water evaporates. If you want you can add 2 tbsp of oil to this. If you want more gravy, you need not wait till all water evaporates. 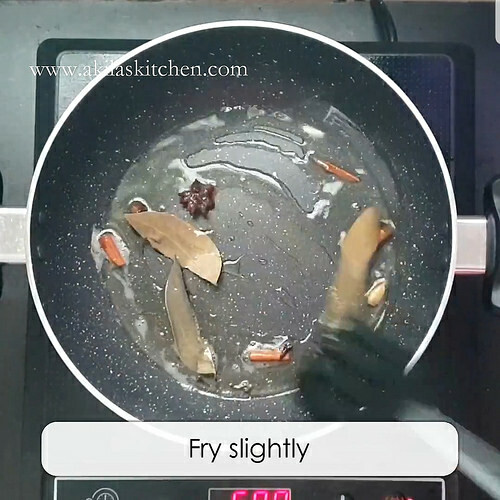 You can switch off the stove now itself and serve it. If you want a thick gravy, then let all water content goes off. 20. 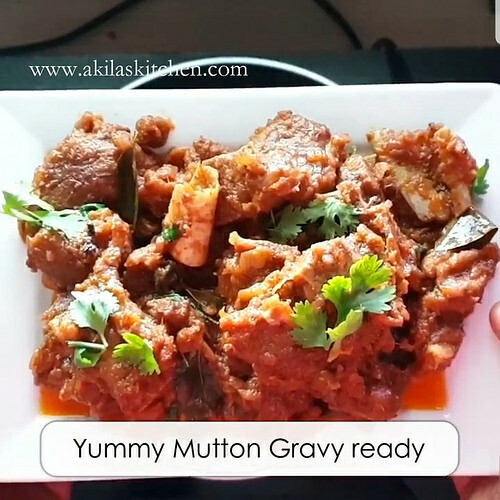 Serve the Yummy yummy mutton semi gravy. 1. 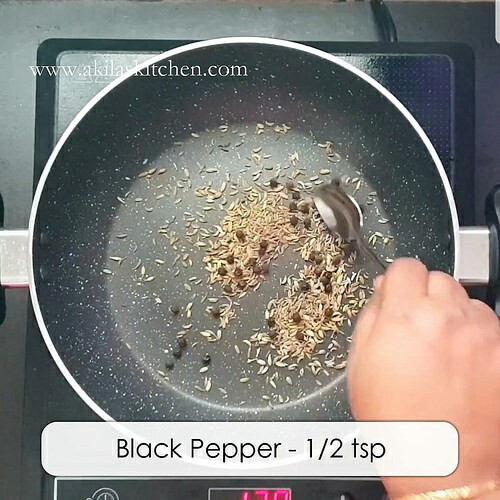 If you want more spiciness and peppery flavors you can add one teaspoon of pepper.